Cuckoo bees sneakily lay their eggs in the nests of other bee species, after which their newly hatched prodigies kill the host egg or larva, and then feed on the stored pollen. The host, a solitary bee, never knows anything is awry. Nine new species of these clandestine bees have been found hiding in collections and museums across North America by York University PhD Candidate Thomas Onuferko, as well as another six unpublished in a decades old academic thesis. More closely resembling wasps in appearance, cuckoo bees lack the typical fuzzy look usually attributed to bees as they don't need those hairs to collect pollen for their young. Although not much is known about them, cuckoo bees are named after cuckoo birds which exhibit the same cleptoparasitic behaviour. 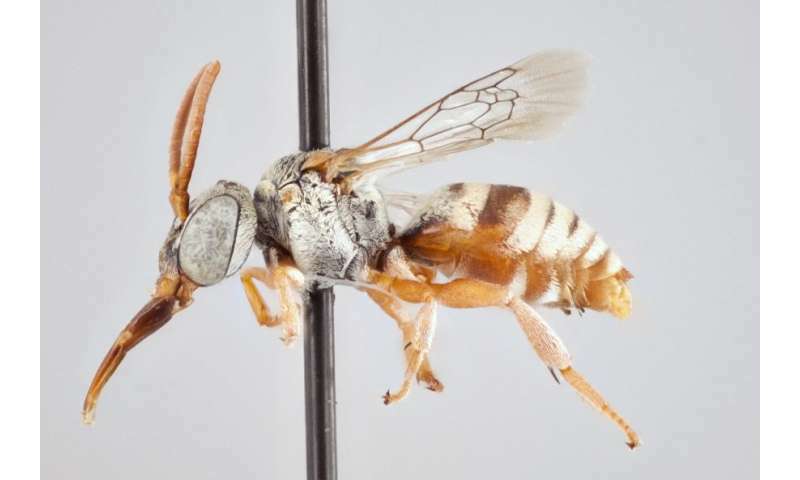 There are now a total of 43 known cuckoo bees in the genus Epeolus (pronounced ee-pee-oh-lus) in North America, many of which go unnoticed hovering low to the ground in backyards or "sleeping" on leaves, as they don't have nests of their own. They are only 5.5 to 10 mm in length, smaller and rarer than the polyester bees whose nests they invade. "It may seem surprising to some that in well-researched places like Canada and the United States there is still the potential for the discovery of new species," says Onuferko of the York University's Faculty of Science. "People have been aware of a few of the new species that I'm describing, but they've never been formerly named. There is a whole bunch of other species, however, that no one knew about." Part of the reason it's taken so long to identify these new cuckoo bees is that they are small, uncommonly collected and can be difficult to tell apart. Onuferko visited collections across North America and had specimens sent to the Packer Lab at York University for examination. 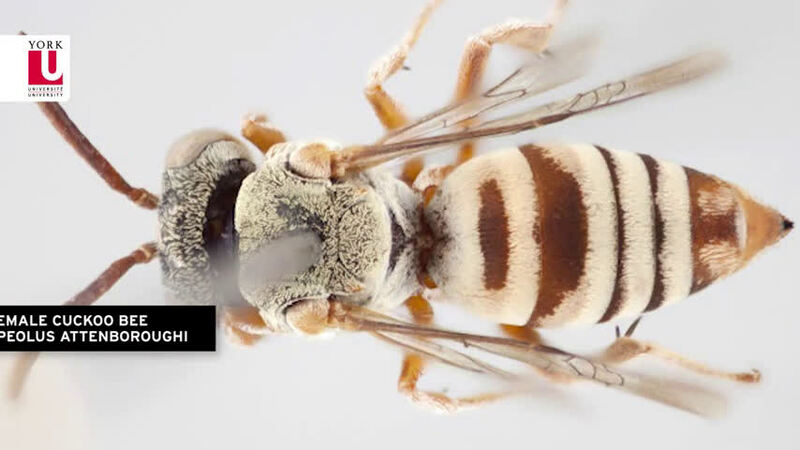 Many of the newly described cuckoo bees, including one Onuferko named after well-known British broadcaster and naturalist Sir David Attenborough - Epeolus attenboroughi, possess very short black, white, red and yellow hairs that form attractive patterns. 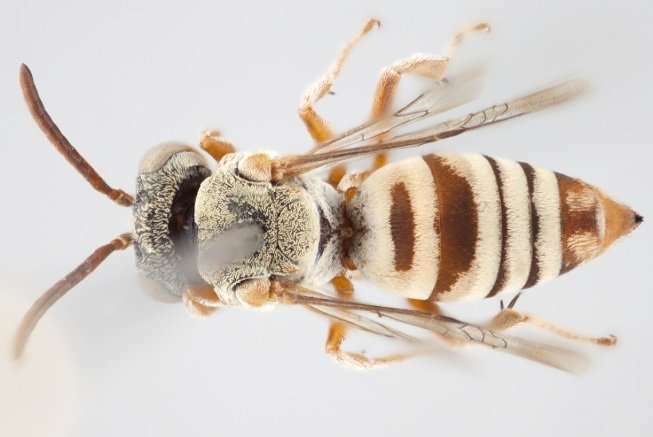 Onuferko named another cuckoo bee after York University bee expert and thesis adviser Professor Laurence Packer - Epeolus packeri. Where did the name "epeolus" come from? Onuferko thinks it's likely a diminutive of Epeus/Epeius, the name of the soldier in Greek mythology who is attributed with coming up with the Trojan horse war strategy. All 15 new species are now formally described, which will allow other researchers and bee enthusiasts to keep a lookout for them. The paper, A revision of the cleptoparasitic bee genus Epeolus Latreille for Nearctic species, north of Mexico (Hymenoptera, Apidae), is published in the open access journal ZooKeys.